While you are planning your Christmas holiday and rushing around eating mince pies make sure you have factored in your book loans so you don’t incur a fine! 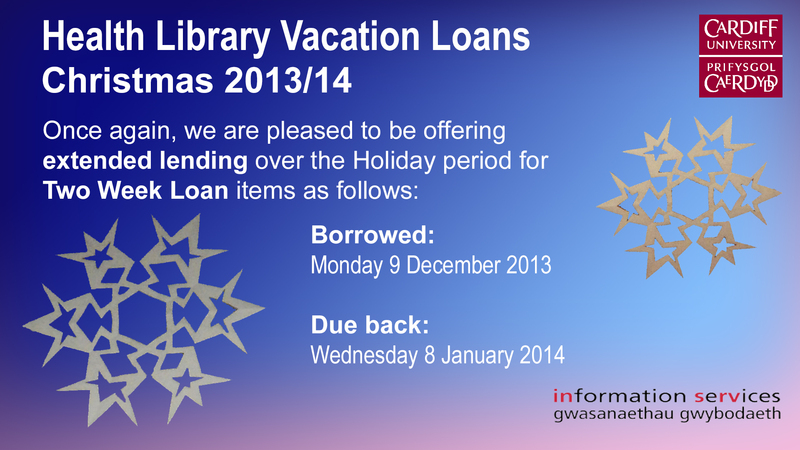 Renew your books on the 8th December to cover the Christmas holiday period. However make sure that the books you have are able to be renewed- there are some books which are waiting to come in to satisfy reservations- so please do check before you go so you don’t rack up a fine while you are away. Don’t forget you can renew your books online, over the phone, or in person. Let us know if you need any help. This entry was posted in Using the library and tagged christmas, renewals on December 2, 2014 by Mariann Hilliar. This entry was posted in opening hours and tagged christmas on December 3, 2013 by Lindsay Roberts. 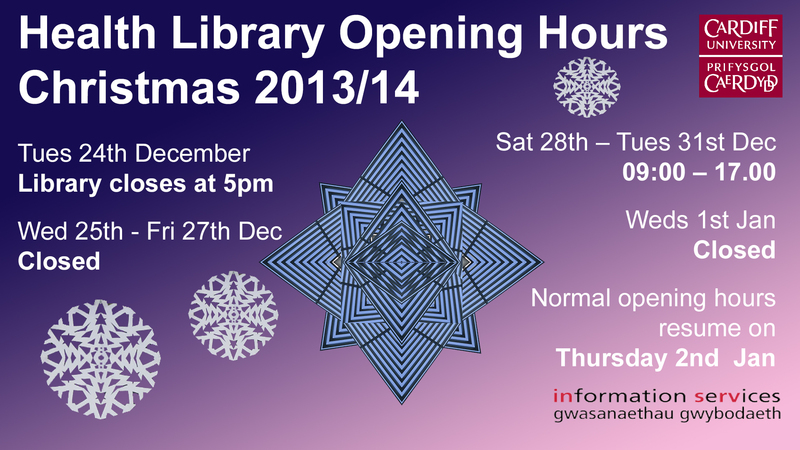 Normal opening hours resume on Tues 3rd Jan. IT Room will be open in the main hospital building on 2nd floor UHW over the Christmas period. This entry was posted in opening hours and tagged christmas on December 5, 2011 by Lindsay Roberts.